This entry was posted in Delivrd HowTo and tagged inventory, pack, replenishment on August 13, 2015 by delivrd. 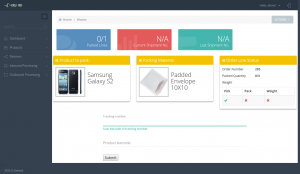 This how-to guide explains why and how you should manage your packaging materials in Delivrd, the free online order fulfillment and inventory management solution. Packaging materials are used in the packing phase of the order fulfillment process as containers of actual products you sell to your customer. Delivrd only manages one, primary packaging material. If you use several different packaging materials to pack a single product (for example, you pack several pieces of a certain product into a bag, and then place several bags into a carton box), you can only manage one of them in Delivrd. In the example above, it makes sense to manage the carton box as a packaging material, but it’s up to you to decide. There are many different packaging materials you can use, each one with its own unique characteristics. The first products you have to create in Delivrd are your packing materials, because when you will start creating your sell-able products, you will need to define which packaging materials are used for packing them. Since managing packaging materials is very similar to managing any other product, creating products for packaging materials is almost identical to creating other products, with one very important difference: you have to define the product as a packaging material. 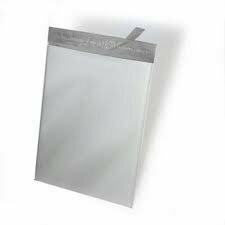 To replenish your packaging material stock, you create replenishment orders for your packaging materials as you would to any other product. The product receiving process is also identical – once it is completed, inventory levels of packaging materials will be updated accordingly. Packaging materials are consumed during the packing process. In Delivrd, each product you sell has a packaging material assigned to it. When a customer order is created, the packaging material is automatically added as a separate line to the customer order. If a customer order has more than one product, more than one packaging material will be added to the order. So if the order contains 3 different products, 3 packaging materials will be added to the order. If you decide to pack all 3 products into a single packaging material (for example, into a single large padded envelope), you need to remove the packaging material lines that are not going to be used in the packing process. When you pack your order lines, packaging materials are consumed once a shipment have been created and shipped. Inventory levels of the packaging materials are automatically decreased in accordance with the amount of packaging materials that were used for packing. When you create a customer order, Delivrd check for sufficient inventory levels of packaging materials against the quantity required by all open customer orders. This entry was posted in Delivrd HowTo and tagged inventory, order, pack, shipment, wave on July 28, 2015 by delivrd. This how-to guide explains how to perform packing & shipping when using Delivrd’s Wave functionality. A short reminder – a Wave is a group of customer orders you fulfill together, as a batch. 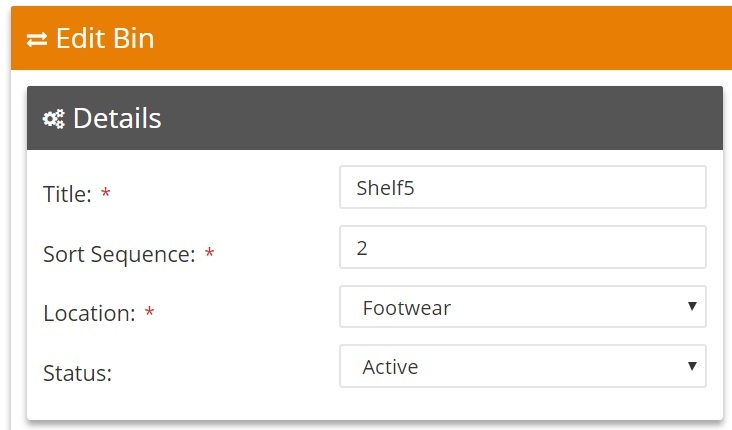 Delivrd’s Wave packing functionality is one of its most unique features among inventory management and order fulfillments solutions. It walks you through the actual, physical process of packing your products as part of fulfilling your customers orders. It’s a ‘keyboard-free’ process, where you do not input the information but rather scan it using a barcode scanner and barcode labels. Not having to input information using your keyboard minimizes mistakes and makes the actual process of packing a lot more efficient and reliable. Packed Lines: Shows how many order lines need to be packed in this wave, and how many lines have already been packed. Current Shipment No. : Show the tracking number of the current shipment. Last Shipment No. : Show the tracking number of the previous shipment. Product to pack: Shows information about the product you need to pack, and an image of the product. Seeing is Believing! Packing Material: Shows information about the packaging material required to pack the order lines’ product you need to pack, and an image of the packing material. 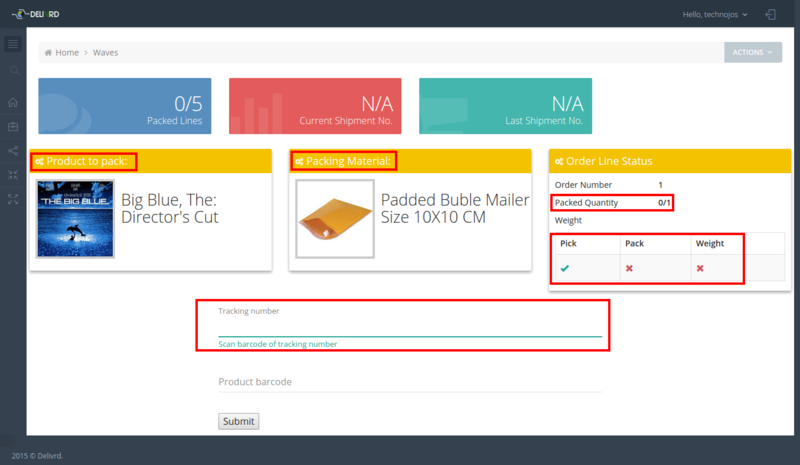 Order Line Status: Shows various information on the status of the current packed line, such as order number, quantity to pack for this order line and quantity that was already packed etc. It also shows you the status of the different steps of the order line: pick, pack and weight. The bottom part of the page is made up of two input lines. The lines vary in usage, depending on the step of the process. When you first start packing an order, you first need to scan the tracking number of the shipment, and then scan the products barcode. In Delivrd, A single shipment equals a single customer order, so if a customer order has two order lines, 1 piece of product A and 2 pieces of product B, you will scan the same shipment 3 times, one for each piece, and you will scan each piece once, before you physically place it inside the packaging material (a carton box, a poly mailer or a padded envelope). You must scan a tracking number because Delivrd needs a away to uniquely identify the current shipment. 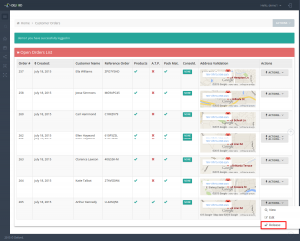 If you do not use tracked shipment, you can use Delivrd to print random tracking numbers. These numbers will only be used by Delivrd, not by your courier. When you scan a product’s barcode, you can either scan a barcode with the product’s SKU, a serial number of that product, or the product’s EAN/UPC/ISBN number. Whenever you scan a barcode of a product, inventory of this product is updated – a single piece is subtracted from inventory. Also, inventory of packaging materials is adjusted based on their actual usage in the packing process. Once you have completed packing a shipment (e.g., you’ve placed all ordered quantities into a packaging material), you now need to weigh the package. You need to use an weight scale to know the actual weight of the package. 1. Shipment (=package) weight is printed on the shipment label. 2. The weight is used as a control measure to make sure no packing mistakes have been made. When products are created in Delivrd, their weight has to be provided by you. Once a shipment was fully packed, Delivrd calculates the expected weight of the package, by combining the weight of all the products + the weight of the packaging material used for packing. This expected weight is compared to the actual weight reported by the user. If the weights are different, it is very likely that a packing error has occurred! We recommended that you do not seal and tape the package until the weighing step is complete, so that if a possible packing mistake has been identified, you can easily view the packages content and if required, repack the shipment. Hopefully the following video will make the process more clear. Automatic update of inventory levels, based on barcode scanning, make for a more accurate inventory management of both products and packaging materials. We will provide you with more video demos that will further demonstrate the power of Delivrd’s Wave Packing & Shipping. This entry was posted in Delivrd HowTo and tagged customer, order, pack, shipment, wave on July 21, 2015 by delivrd. This post will provide an overview of the different steps involved in completing a customer order – from order creation, to order validation, to picking,packing and shipping. 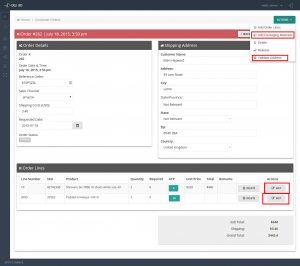 Since Delivrd functions as an order fulfillment and inventory management software, customer orders are usually generated in systems external to Delivrd. For example, if you are an eBay seller using Delivrd for order fulfillment & inventory management, your customers orders are initially created in eBay. If you own a large eCommerce website and use Magento as your eCommerce solution, your customers orders are initially created in Magento. So the first thing to keep in mind is that Delivrd is not your shopping-cart front end, but is designed to process customer orders created by other systems, be it ecommerce solutions, ERP or CRM systems. There are several ways to create customer orders in Delivrd – manually (possible, but not recommended), import from a text file which contains customer order data exported from your backend system (e.g. ecommerce system), and for eBay sellers’ we have developed an import tool that automatically imports eBay orders into Delivrd. 1. Review – once orders have been created/imported, you must first review the orders. The purpose of the review step is to minimize shipping errors. 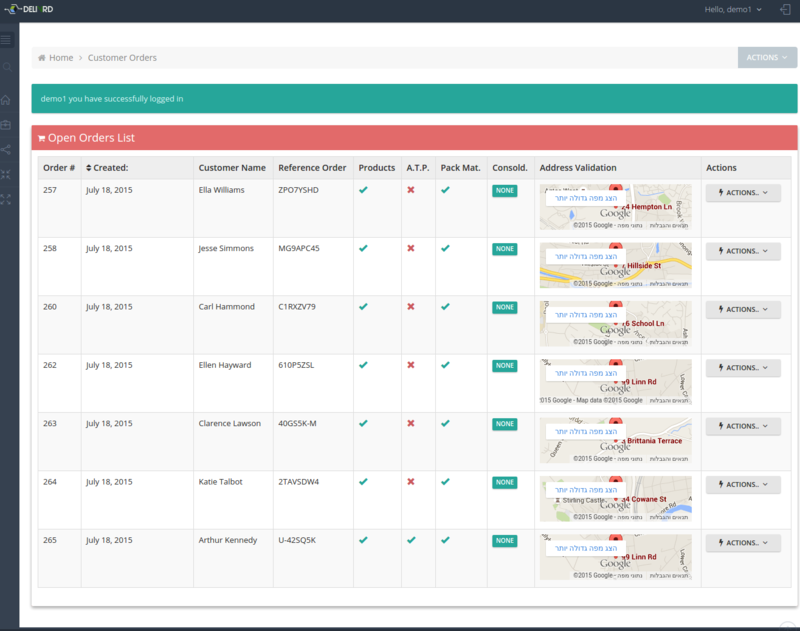 You can review orders one-by-one, but a better solutions Delivrd offers is the review page, which lists all open orders (meaning, all orders that were not released yet), and indicated problems the orders might have, such as order line items without products, orders without packaging materials, stock availability issues, and a basic, yet powerful, address validation indication. 2. Fix errors – if any issues were identified in the Review steps, orders must be corrected – be it a wrong address, a missing packaging material, or any other issue. 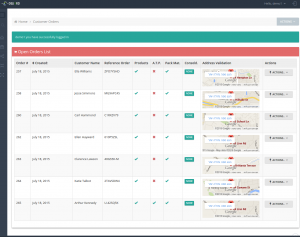 Fixing this errors will minimize shipping errors and customer returns. 3. Release – in order to be able to further process an order in Delivrd, it must be released. 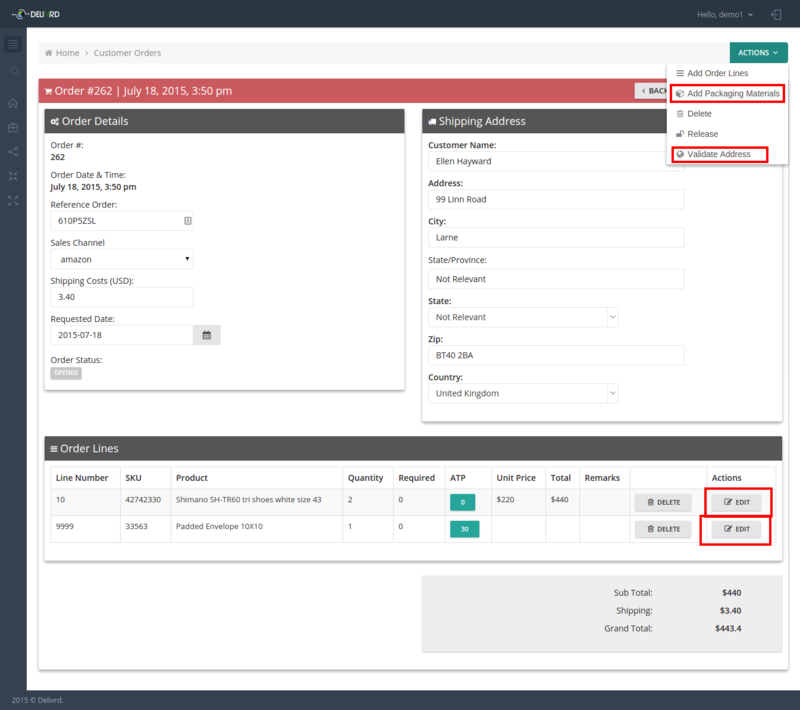 Once it is released, you can create a shipment based on the order, and start the pick, pack & ship activities in Delivrd. 4. 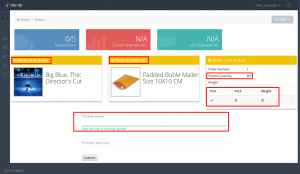 Create shipment for order or create picking wave – in Delivrd, to fulfill a customer order, you need to created an outbound shipment. 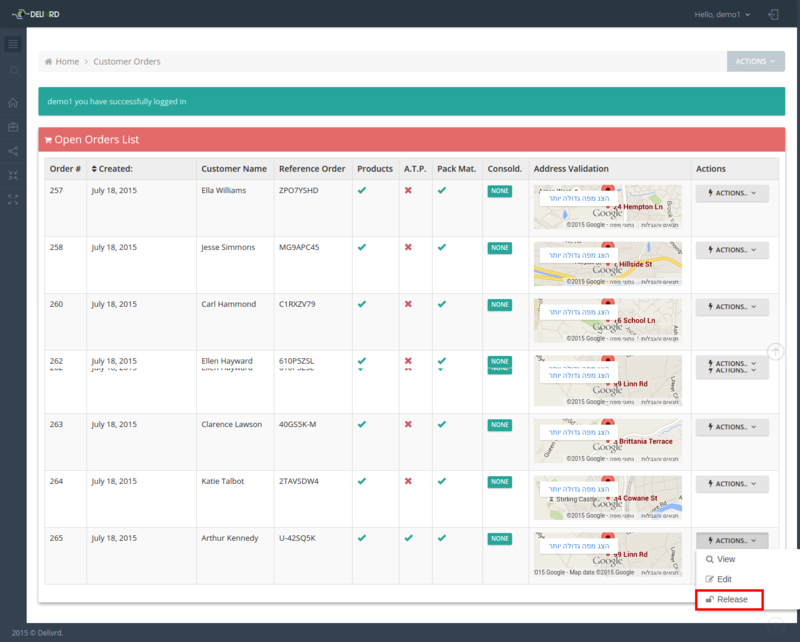 This shipment is used to collect relevant data such tracking number of the package sent to the customer, the package weight and the courier used to ship this order. A shipment can be created manually by you, or it can be created automatically using barcode scanning of a tracking number, if you use Waves for pick, pack & ship (more on that later). 5. Pick & Pack – Picking & packing in Delivrd describes the process of picking the product ordered by the customer, and packing it using some form of a packaging material (padded envelope, poly mailer, carton box etc.). In Delivrd, these steps are performed using barcode scanning of a product’s SKU, serial number, or EAN/ISBN number, to minimize costly order fulfillment errors. 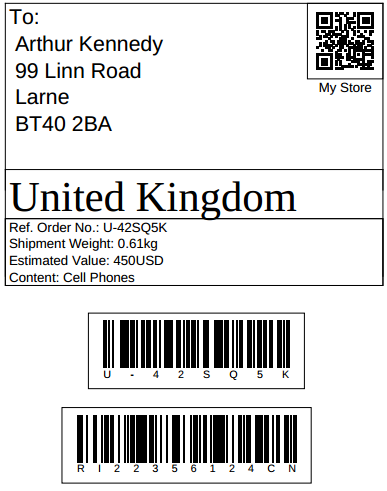 6.Print shipping label & packing slip – once packing of a customer order is completed, you can print a shipping label with all relevant info (exact address, weight, value, type of products packed etc.). If you want, you can also print a packing slip which described which products and how many of each have been packed. 7. Confirm shipment – once a shipment has been shipped (e.g., was submitted by you to the post office or to your preferred courier), a shipment is completed. The customer order is marked as shipped and the order fulfillment process is completed.